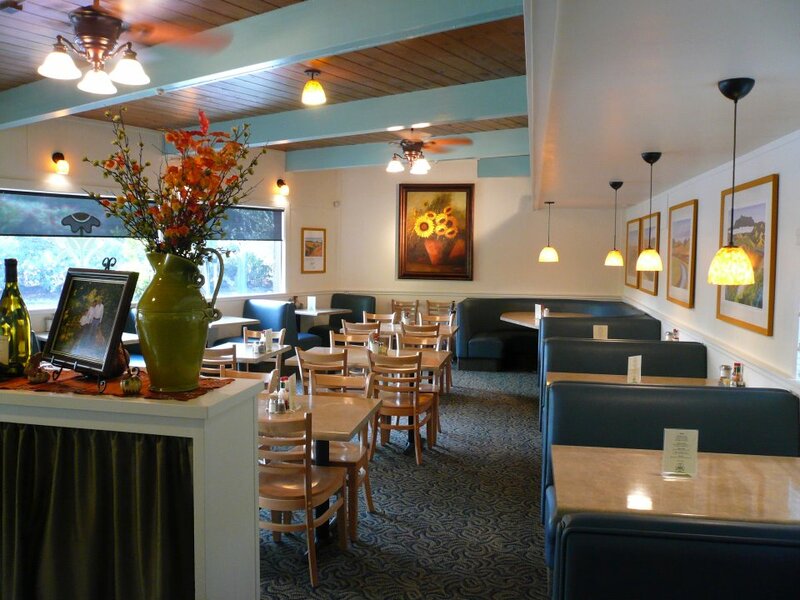 Sticky bun French toast is on the menu at Jeffrey’s Hillside Café in Santa Rosa. 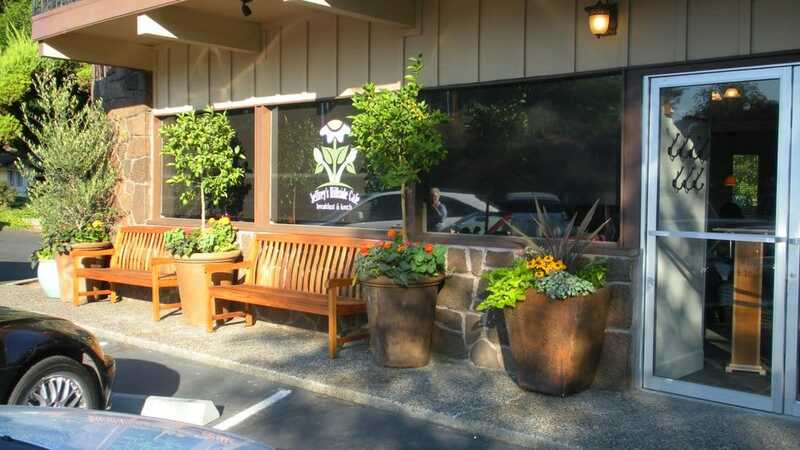 Yes, there really is a Jeffrey at Jeffrey’s Hillside Café, as in Jeffrey Madura, who built a notable career as executive chef at John Ash & Company in Santa Rosa. After two decades there – and appearances at the renowned James Beard House in New York City and the Ahwahnee Hotel in Yosemite – he struck out on his own, to open this Santa Rosa treasure. Debuted in 2009, the eatery was an instant success, and to this day, reservations are must on weekends for the brunch-only service. Weekday meals often require a wait, too, for the breakfast- and lunch-only service. The look: Set at the Hillside Inn east of Farmers Lane off Highway 12, it’s easy for newbies to miss the hidden parking lot. But it’s worth seeking out, for the classy coffee shop that’s sparkling clean, cozy with booths, table and counter seating, and a partially open kitchen so you can watch the always-bustling action. Tables are close-set and often pushed together, so you’ll likely share space with other parties. And yes, the room gets loud, so plan on leaning in to your companions. But that’s part of the fun. To eat: Even before my breakfast date and I were halfway through our plates, we admitted we were contemplating naps. Portions are huge, calorie concerns are tossed away, and delicious flavors encourage us to eat more than we really should at one sitting. Beyond three egg omelets on platters mounded with roasted chunk potatoes and two pieces of toast, there are belly-fillers like sticky bun French toast with pecans, brown sugar and cream plus a side of fresh fruit ($11.25), banana pancakes smothered in housemade huckleberry syrup alongside two eggs and applewood smoked bacon ($13.25), and a hefty chicken fried steak with country potatoes, two eggs, thick, rich country gravy and toast ($13.50). 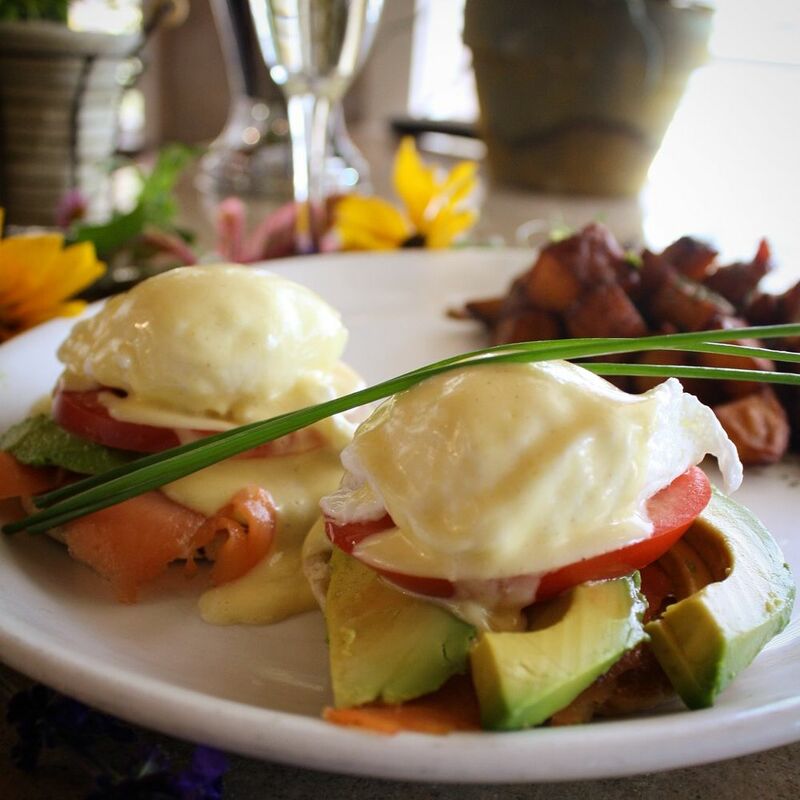 If you’re lucky, meanwhile, the daily specials will include the California Benedict of English muffins piled in smoked lox, avocado, tomato, poached eggs and champagne Hollandaise ($18). It’s so rich, and so silky. My friend barely made a dent in her Joe's Special, the classic (joyfully grease-free) combo in a mountain of eggs scrambled with sautéed ground beef, spinach, mushrooms, green onions and tomato, under a mantle of Asiago cheese, rounded out with country potatoes and her choice of rye toast ($13.75). But that’s what leftover boxes are for, and she made a fine dinner of it later. 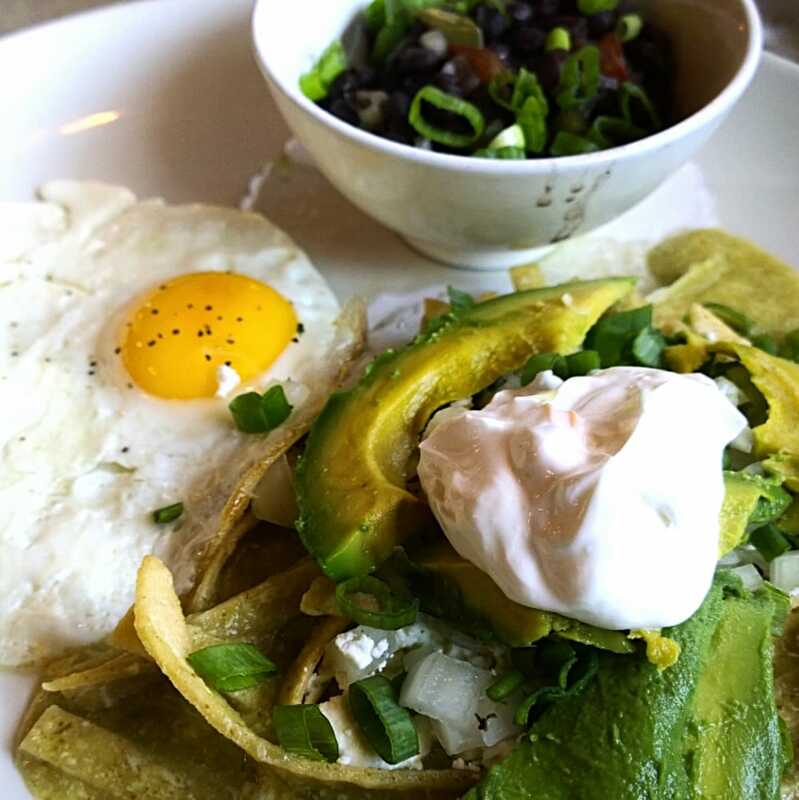 Some of the dishes are bit lighter, such as the chilaquiles ($13) I savored. A nest of crisp-fried tortilla strips are softened in tangy salsa verde, then crowned in two eggs any style (my sunny side-ups were perfectly cooked, to lacy firm whites and runny gold yolk), pepper jack, feta, onions, sliced avocado and sour cream, with a side bowl of black beans tossed with crunchy veggies in broth. Here’s where the chef really shines; it’s one of the best versions I’ve ever had. Lunch is equally popular, beginning with the luscious Sonoma onion soup stocked with toasted croutons and a cap of Gruyere ($8). Many of the breakfast entrees are available, too, but this is a good time to zero in on signatures like the juicy half pound cheeseburgers with fistfuls of crisp golden fries ($13.75-$14), or a first rate tuna melt finished with tomatoes, onions, cheddar and tartar sauce on focaccia, served with fries ($13.25). 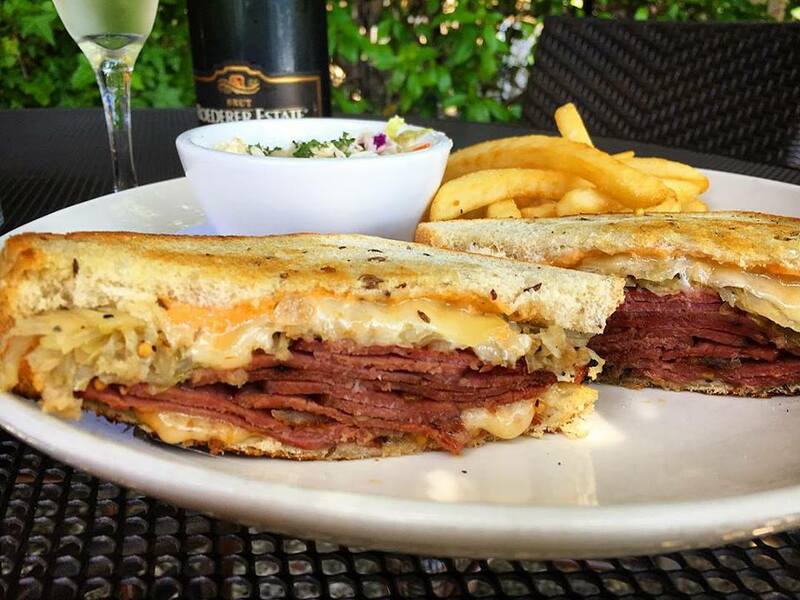 I also love the really good Reuben, crafted with Zoe’s pastrami, housemade sauerkraut, mustard, Russian dressing and Gruyere on light rye with a side of fries ($12.75). Like all the dishes here, it’s a beloved classic treated with extra care. To note: The crowd runs all ages, but the restaurant is extra friendly for ADA guests, including some tables specifically adapted for wheelchairs. Dessert: It’s totally got to be the banana split, served the real way buried in chocolate sauce, caramel and whipped cream ($5.95). To drink: Jeffrey’s has a wine license! Yay, for sips like Pedroncelli 2015 Dry Creek Valley Zinfandel ($10.50) and Trecini 2017 North Coast Sauvignon Blanc ($8.25). Details: 2901 Fourth Street, Santa Rosa, 707-546-6317.